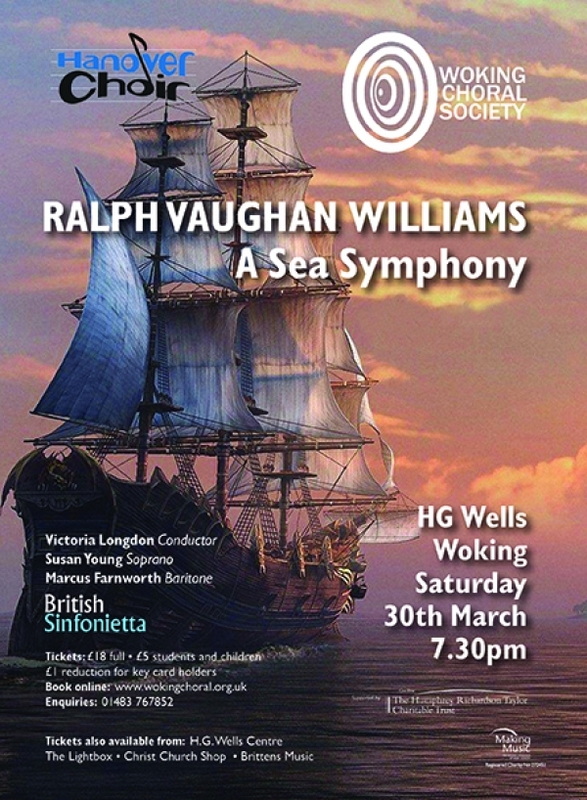 Woking Choral Society will be performing Vaughan Williams choral and orchestral first symphony with the Hanover Choir and Britten Sinfonietta, with soloists Susan Young and Marcus Farnworth, under the baton of our Musical Director Victoria Longdon. 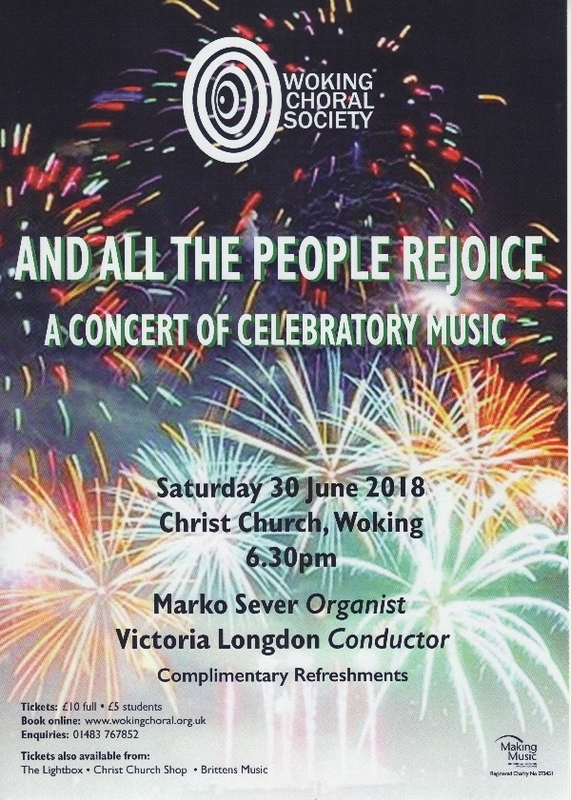 Woking Choral Society is performing a concert of celebratory music at Christ Church, Woking, on Saturday 30 June. The concert, conductor Victoria Longdon's first with the choir, features a mixture of favourites such as Handel's Zadok the Priest and some less well-known but lovely pieces. It starts at 6.30 pm and will last about an hour, concluding with complimentary refreshments. Tickets are £10, £5 for students, and are available at www.wokingchoral.org.uk, on the door, or at The Lightbox, Christ Church Shop, or Brittens Music. Woking Choral Society is performing this wonderful Elgar work on Saturday 12 May, 7.30 at Guildford Cathedral. 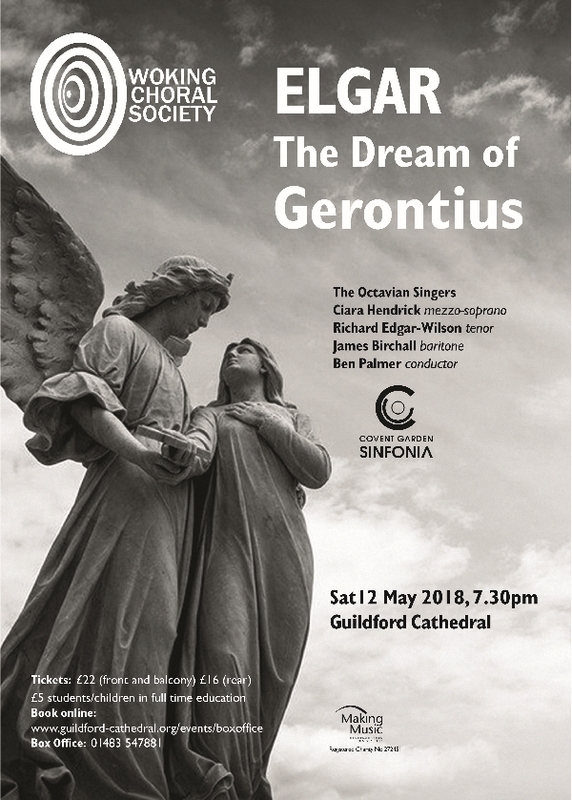 We will be joined by The Octavian Singers, the Covent Garden Sinfonia and three outstanding soloists, all under the baton of Ben Palmer - his last concert with the choir. Just over a week to go till Woking Choral Society's concert at St John's Church, West Byfleet. 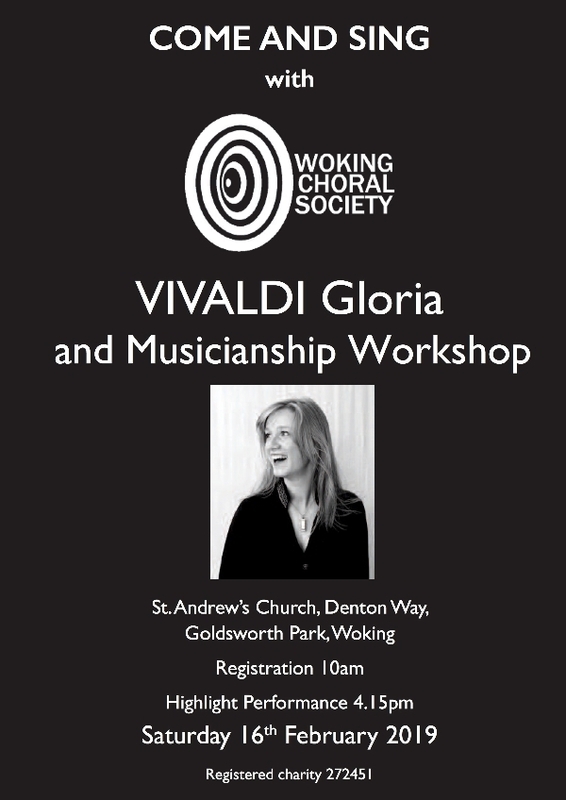 Tickets still available to hear these lovely works, www.wokingchoral.org.uk. 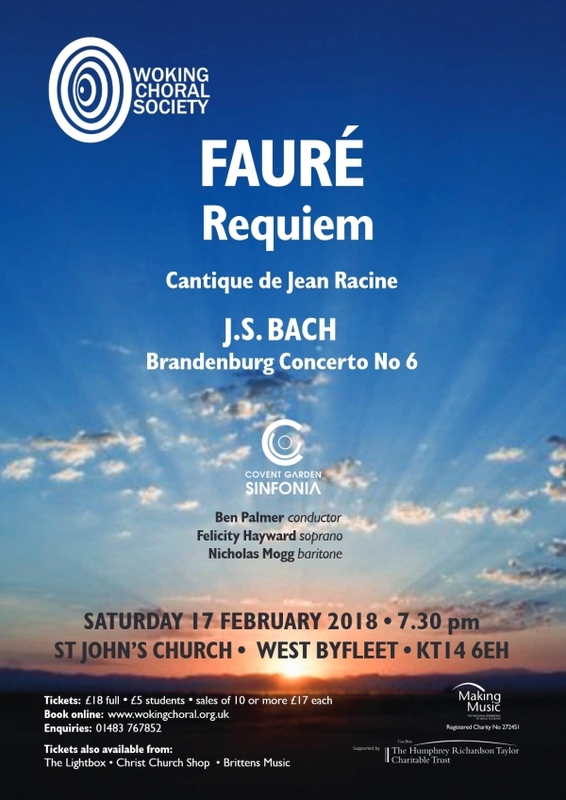 On Saturday 17 February at 7.30, Woking Choral Society will be performing Faure's Requiem in St John's Church, West Byfleet. The concert also features Bach's Brandenburg Concerto No 6 and Faure's Cantique de Jean Racine. Tickets from www.wokingchoral.org.uk. Woking Choral Society rehearsals are now under way for Faure's lovely Requiem. If you missed the first one, come and join us on Monday 15th January at 7.30, at St Andrew's Church, Goldsworth Park. We will be working towards our concert on 17 February at St John's Church, West Byfleet. Rehearsals start on Monday 8th January for the Faure Requiem. If you're thinking of joining a choir, come and join us at St Andrew's Church, Goldsworth Park at 7.30. Woking Choral Society's term came to a festive end on Monday, with carols, mince pies and nibbles. Rehearsals start again on Monday January 8th at St Andrew's Church, Goldsworth Park, when we shall be rehearsing Faure's much-loved Requiem. Meanwhile, merry Christmas, and happy music-making! Less than 2 weeks to go to Beethoven's Missa solemnis. 9 December, 7.30, H G Wells Centre, Woking. 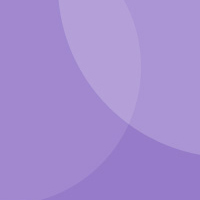 Contact Woking Choral Society at www.wokingchoral.org.uk.